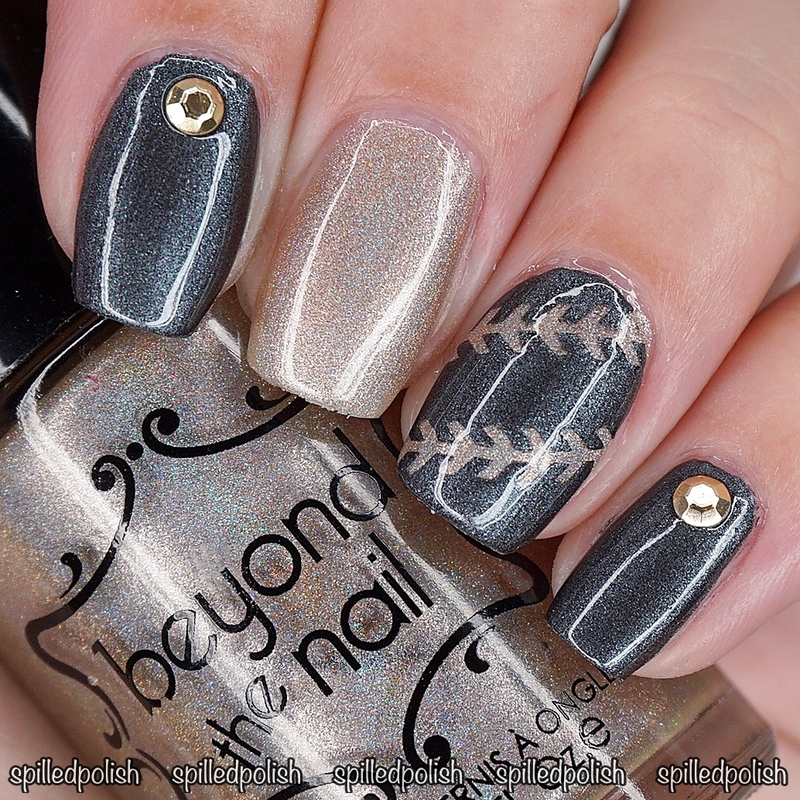 It's day 8 of The 31 Day Nail Art Challenge and today's challenge is Metallic Nails! I painted my middle finger and ring finger with two coats of Beyond the Nail - Holy Grail. On my index and pinky fingers, I painted two coats of Beyond the Nail - Charcoal Pearl. When everything was dry, I placed two Stitching Nail Guides on my ring finger and painted over it with Charcoal Pearl. I immediately peeled away the nail guides and was left with such a cute design! I topped everything off with one coat of PRO-FX - Quick Dry Topcoat and stuck on some Flatback Gold Ball Rhinestones onto my pink and index fingers.